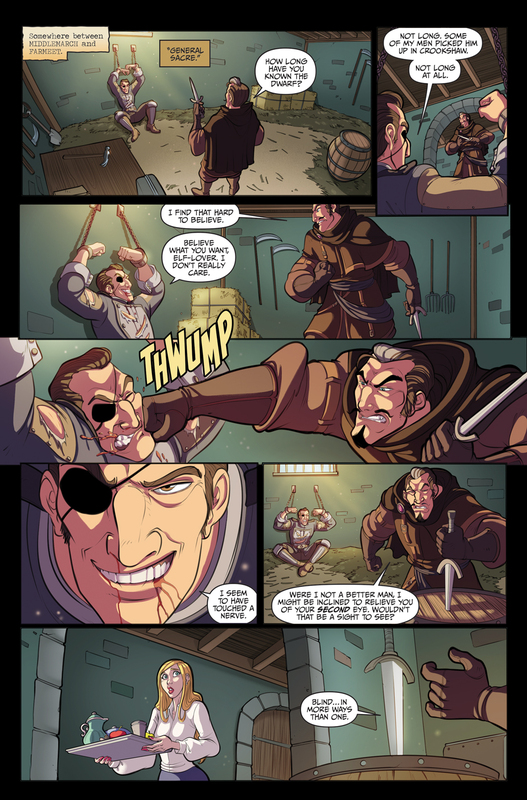 Page 135: Sacre — Crookshaw Creative | HELM | Read the best webcomics and online digital comics. One interrogation scene leads to another, and we finally catch up with some of the characters we last saw in the final chapter of HELM Book #1. Speaking of Book #1, did you know it will be released as a trade paperback volume in just over 30 days? See what I did there? Har har har. Pre-order HELM Book 1 here.